THIS week we’re having a staycation in Cardiff. It might only be an hour away from home, but it’s nice to have a change of scene and more time to do things in the capital that we wouldn’t normally get the chance to. 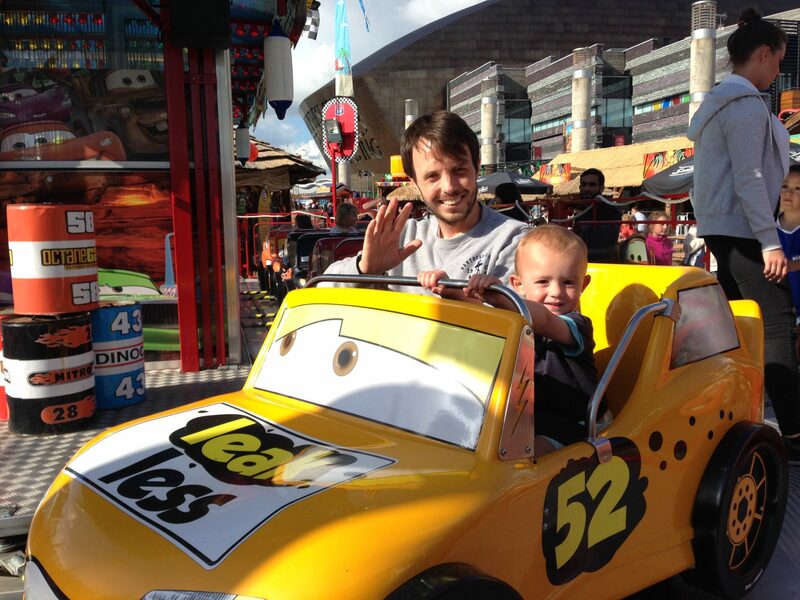 The first thing on the list was Cardiff Bay Beach to play on the sand and go on the big wheel. If you’ve never been, you really should. Roald Dahl Plas is transformed into a seafront with a man-made beach, funfair rides, food stalls, and bars for the summer. We’ve been a couple of times before, but Santi has always been too young to know what was going on. This year we thought he’d enjoy, and he was excited to play on the sand when we told him where we were going. In our usual style, our little trip didn’t get off to the best start as Santi fell asleep in the car on the way and didn’t want to wake up. 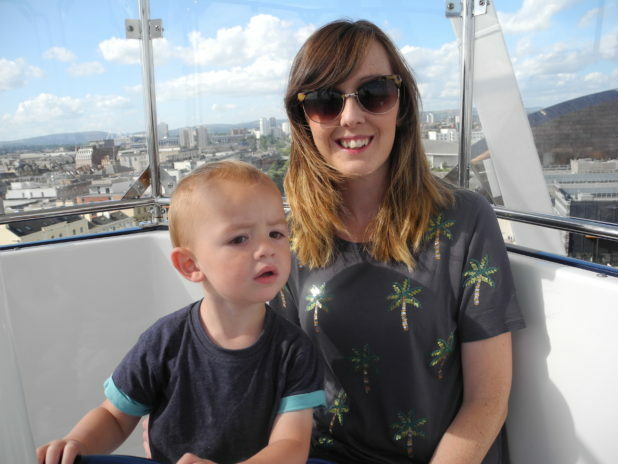 He insisted on being carried through the car park and to the Bay, but he perked up as soon as he saw the big wheel, so we made that our first stop. It goes pretty high and we could see for miles across Cardiff and over the Bay from the air. Santi wasn’t scared at all by the height, and happily pointed out boats, the sea and the temporary beach, where people were sunbathing and building sandcastles on our way down. Our next stop was the beach, where despite his excitement at home Santi wasn’t too interested! There were a lot of buckets and spades around (I don’t know if they’d been abandoned or if they’re supplied), which is great to save taking your own, so we built a few sandcastles and Santi kicked sand all over my shoes (thanks) before getting distracted by the fairground rides. The rides operate on a token system, so you pay £1 per token in advance and each ride costs a certain amount. We had to go back and fore a fair few times for more! We went on a couple of merry-go-rounds (£1 per ride) and the carousel (£2 per person), plus the big wheel (£4 per person) … It’s surprising how quickly the cost mounts up! There’s also a huge helter skelter, bumper cars, a fun house and trampolines for older children. We had a slight incident with a little water boat ride as Santi was desperate to go on, but too nervous to step off the platform onto the boat. The woman working there wasn’t too impressed with us hanging around for so long, but we didn’t want to drag Santi away while he was deciding if he wanted to go on. Next year he’ll be big enough to go on more, which will make it easier (but more expensive!). We only stayed for a couple of hours as we went in the evening and our fish and chips were calling, but you could spend most of the day there playing on the sand, or head off to explore the rest of the Bay. We made a little video of our visit to the Bay… Subscribe to our YouTube channel if you want to keep up with our days out.